Nikola Vucevic of the Orlando Magic and Boban Marjanovic of the Philadelphia 76ers go up for the rebound on March 25, 2019 at Amway Center in Orlando, Florida. 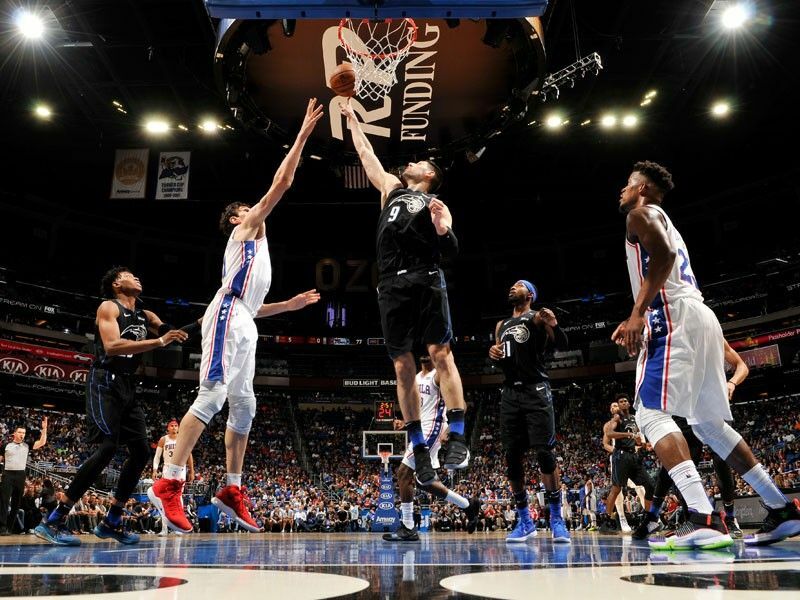 LOS ANGELES – Nikola Vucevic led the scoring with 28 points as the Orlando Magic sent the Philadelphia 76ers spinning to a second straight defeat in a 119-98 upset on Monday (Tuesday Manila time). Vucevic dominated a Sixers lineup missing Ben Simmons through illness to finish with 11 rebounds and four assists as well as a double-digit points tally.